Sigma Engineers and Constructors provides Engineering Consulting Services to over 30 companies, including 8 Fortune 500 Companies. SEC can provide engineering, design and drafting for a wide range of disciplines including process engineering and mechanical engineering. Sigma provides engineering solutions that assure process integrity and operational efficiency. Sigma is head-quartered in Baton Rouge, La with an second office in Metairie, Louisiana. Sigma provides engineering consulting services for over thirty (30) companies, including eight (8) Fortune 500 companies. SEC currently has a staff of over 100, including engineering professionals and support services. 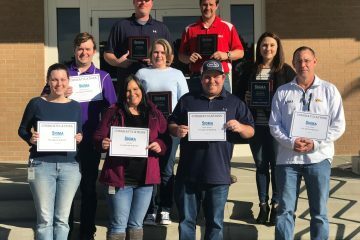 Congratulations to each of our employees that hit years of service milestones in 2018. We are grateful each of you are part of our Sigma family. Questions or comments about SEC? Feel free to contact us via email or phone Monday-Friday 8:00am - 5:00pm cst.